When you need a little something, reach for these no-bake sweets in the freezer or fridge. 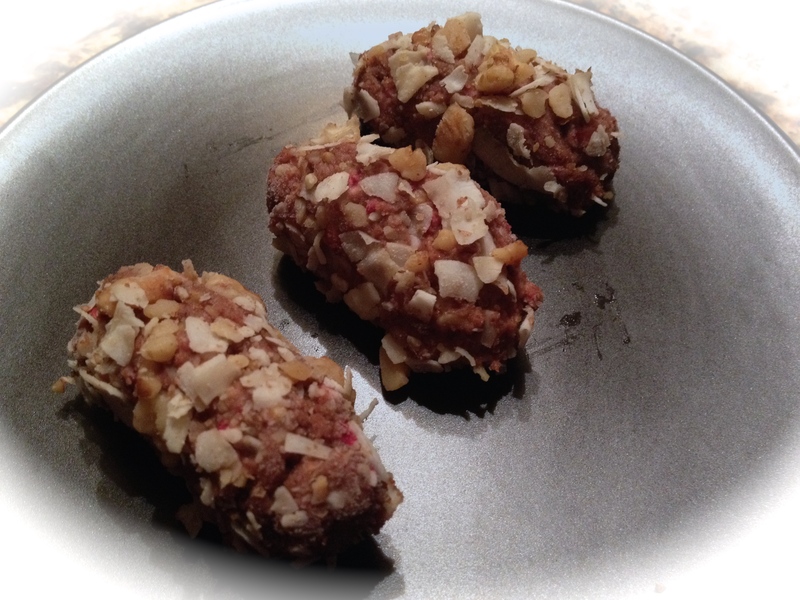 In food processor, add coating ingredients and pulse 20 or more times, or until coconut and walnuts are in small pieces. Remove and place in shallow bowl. Set aside. In same food processor bowl, add walnuts, flours, cocoa powder, almond butter, and dates. Blend until mixture comes together – about 5 minutes. It will still be crumbly. Add fresh strawberries to food processor and pulse 12 to 15 times, being careful not to over-process. Small chunks should be visible. Place bowl in freezer for about 15 minutes to make mixture easier to work with. Once chilled, scoop about 2 tablespoons of mixture into hands and roll into logs. Cover logs with coating mixture set aside. Place logs on baking sheet and store in freezer or refrigerator. Take out for 5 minutes before serving.